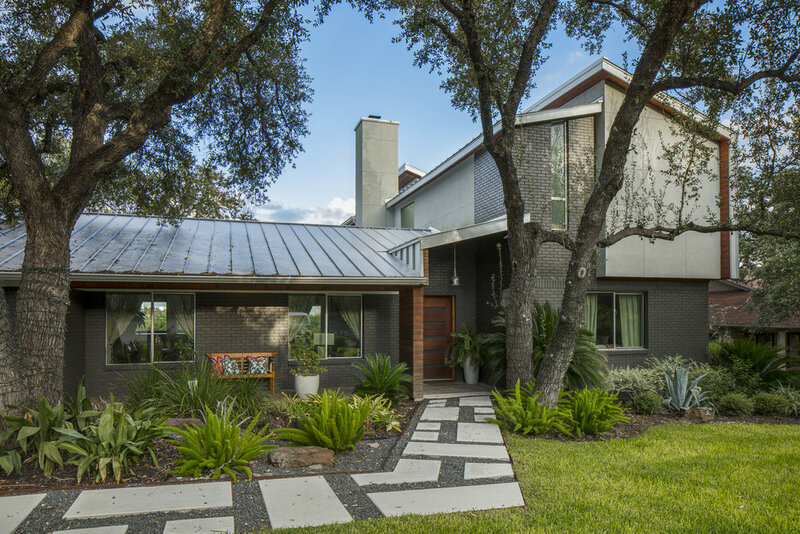 Our clients bought the 1960's ranch style house for the amazing views of downtown. They had no idea that such a plain original design could be transformed so much. The second story addition contains the master bedroom suite and features mezmerizing views of the skyline. 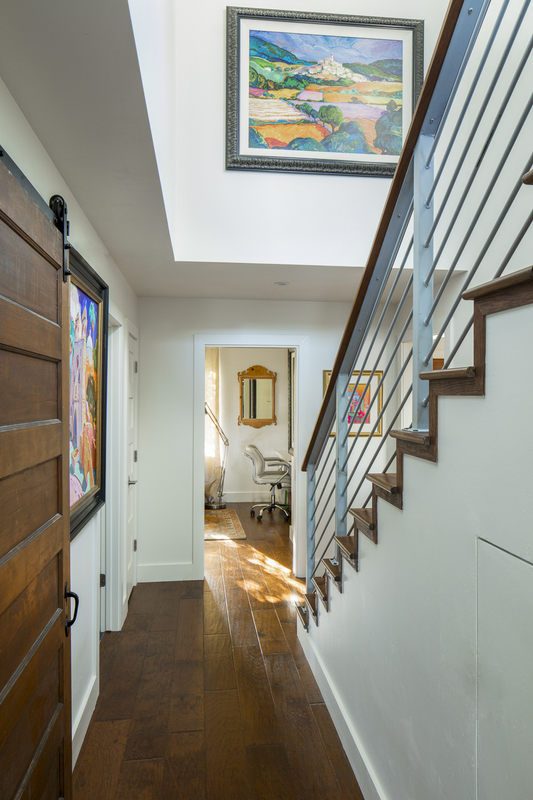 The stairway tucks behind the Living Room wall and receives natural light through clerestory windows facing north. While adding the addition we remodelled the downstairs, opening up the kitchen to the back deck and re-building the pool.